LED is a complete industrial chain, and upstream of it is the cutting and production of wafer epitaxial wafers, which is also the most technical content of the LED industry. The epitaxial wafers are mainly supplied by Japan, South Korea, and Germany. The wafers of Taiwanese companies mainly come from Japan and South Korea. The best brightness and light decay are made in Japan, Taiwan’s Guangju, and American Puri. The film is from Japan, and its wafers are also well received in the industry. At present, in addition to providing extensions to the outside world, the Japanese crystal factory has begun to cut itself, which will definitely put pressure on wafer factories in Taiwan and mainland China. In the packaging process, it is mainly concentrated in Taiwan and the mainland. Among them, Taiwanese companies are in the world’s leading position in the packaging field, and there are a large number of high-quality enterprises such as Yiguang, Qihong, Dongbei and Chimei. Around 2000, with the advent of Blu-ray wafers and white light processes, as well as the expansion of mobile phone, backlight, lighting and other application markets, Taiwan packaging companies ushered in the industrial spring. In the form of package, from the initial in-line 3MM, 5MM, 8MM, 10MM, piranhas. Later development patches 0805, 0603, 1206, now 1210 (3528), 5050 and other TOPLED series. Therefore, LED strips have also evolved from ordinary in-line to 0805 and 0603, 1206, and the hottest 5050 patch series on the market. It is worth noting that the brightness of the LED light is directly related to the wafer. At present, the chip package has 9MIL, 12MIL, 14MIL and other dimensions. In theory, the larger the chip, the higher the power and brightness, of course, the more expensive the price. At present, many companies on the market use the 5050 package appearance, but actually use the brightness. 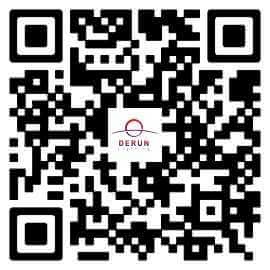 The relatively low size of the wafer, which results in low prices, but the quality is not good, this is an irresponsible performance for customers. When using, carefully distinguish the welding process and brightness of the lamp bead, and the difference between them can be quickly identified by the instrument. 1. The flexible LED light bar is assembled by FPC and assembled with patch LED. The thickness of the product is only 1mm thickness, which does not occupy space; the general specification is 30 lamps per meter, 48 lamps and 60 lamps, etc. Users have different specifications. And it can be cut at will, or it can be extended at will and the illumination is not affected. FPC is soft and can be bent, folded and wound freely. It can be moved and stretched in three dimensions without breaking. It is suitable for use in irregular places and small spaces, and because it can be bent and wound arbitrarily, it is suitable for arbitrarily combining various patterns in advertising decoration. It is worth noting that the FPC material is also divided into many kinds. The formal use of the market is a double-panel FPC made of rolled copper. Of course, many companies are also pursuing the decline of material cost. FPC made of electrolyte, electrolyte FPC. It is easy to peel off during the welding process, which directly leads to the phenomenon of soldering and dead light. In addition, the electrolyte cannot compete with the rolled copper in terms of electrical conductivity and flexibility. 2. 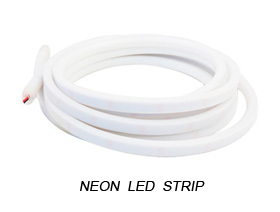 LED rigid light strips are assembled with PCB hard boards. LEDs are assembled with patch LEDs. They are also assembled with in-line LEDs. Different components are used depending on the needs. The advantage of the hard light bar is that it is relatively easy to fix, and it is convenient to process and install; the disadvantage is that it cannot be bent freely and is not suitable for irregular places. 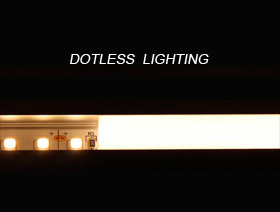 There are various specifications for the light bar with a patch LED of 30 lights per meter, 48 lights, 60 lights, etc. There are 18, 24, 36, 48 and other specifications for the in-line LED, and there are also front and side sides. The light is also called the Great Wall Light Bar. Among the materials used in waterproof light strips, the current market is more than the use of epoxy resin AB glue 560 series. However, the light strips encapsulated by such glue generally exhibit more bubbles, are easy to break, are not resistant to high temperature and cold weather, and are prone to yellowing and tearing due to long-term use. Therefore, the most complaints from customers are the problems of this type of glue. At present, our company uses the glue of Silicone. Silicone glue is a good price of good glue, but the transparency is good. It is folded for 500 times without breaking, tearing resistance, outdoor UV resistance is not yellow, and the surface gloss is excellent. The products have excellent low temperature resistance, water resistance and ozone resistance. It is resistant to acid and alkali, alcohol, arc, UV, cold and heat cycle impact, and fully meets the high performance requirements for indoor and outdoor use. About the production equipment is also different manufacturers, equipment quality and good service reputation manufacturers recommended: Li Feng for LED soft light belt is mainly SMT process, the process is solder paste mixing (LF-180A), solder paste printing (LTCL-SP600) The lamp board is usually 510X250MM. Therefore, it is necessary to add a large-sized printing machine to the SMT (LF-100LC) and put it into the placement machine (SM421S) for mounting. The PCB with the lamp attached is connected (LF-100LT). Barge feeding reflow soldering (small and medium-sized production capacity: S6, large capacity recommended: M6 series reflow soldering) After soldering, the PCB can be tested for separation, connection, testing, aging, sealing, aging, and packaging of finished products!